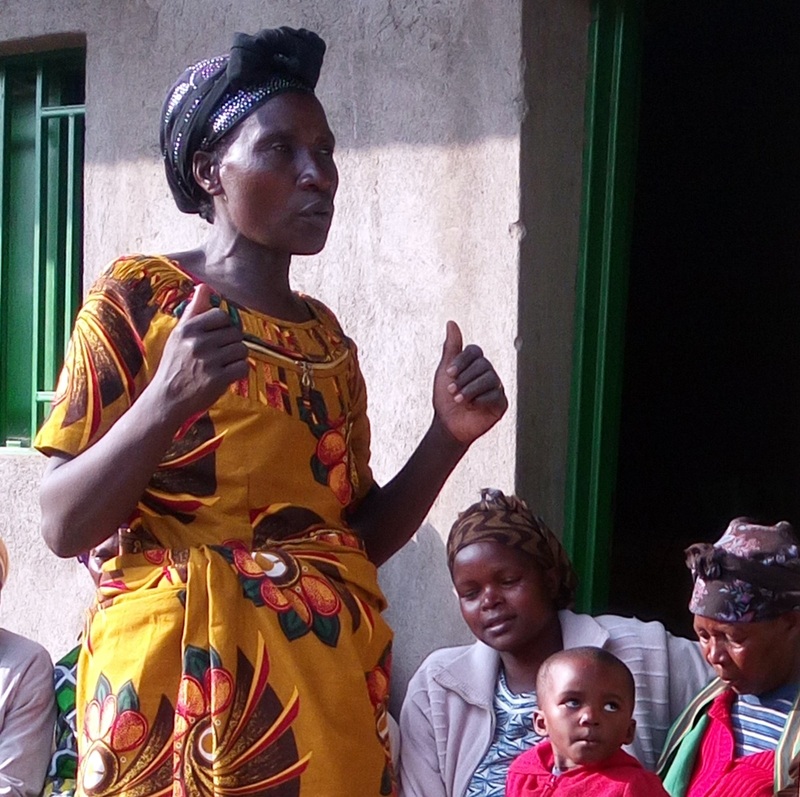 The Friends Peace House Savings and Loans Program held a graduation ceremony and “share-out” day at Shingiro Sector, Gakoro Cell, Musanze District on 20 February 2016. It was a joyful event for all staff and sharing group members present. 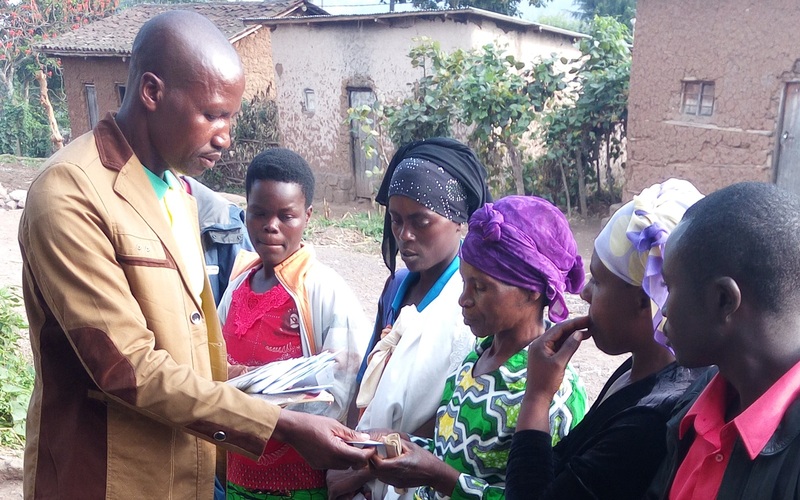 On that important day, two groups—DUFATANYE and TURENGERE IBIDUKIKIJE—graduated and received the income distribution (the “share out”) of their savings. During the 36-week saving cycle, May 2015 to February 2016, the groups were trained in various aspects of money management, including savings, budgets, loans, time-keeping, and the like. At the end of 36 weeks, the groups were formally evaluated to determine whether all topics had been understood. The Savings and Loans Program has been operating in Musanze District since 2013. We are now in six sectors in Musanze District and two sectors of Gakenke District. The groups have from 10 to 25 members. The members of each group are known to each other and live close to where the group meets. They meet once-a-week to purchase shares (one share = 500 Rwf) and request loans as needed. A member can purchase up to five shares at any group meeting. Proof of the share purchase is marked in a booklet, stamped by the group secretary. At the first meeting, members set the rules, (e.g., the rate of interest on loans) that will govern the group during the 36-week cycle. Also at the first meeting, the group votes to select an executive committee of five persons—a president, a secretary, a money-box keeper, and two accountants. The executive committee term is for one sharing cycle and is renewable. The fourth week of every month is “loans week.” Members can apply for loans of not more than three-times the amount of the given member’s purchased shares. Money is delivered in cash in front of all group members. The borrower signs their booklet, acknowledging receipt of the loan. The amount borrowed must be paid back in three equal installments, plus interest, over a three-month period. At February’s graduation, group members gave testimonies on the how good and helpful the program is. They said that the group helped them start small business, pay fees for children at school, pay for health insurance, solve small family problems, and improve peace and stability in their community. Enter your email address to subscribe to Friends Peace House News and receive notifications of new posts by email.